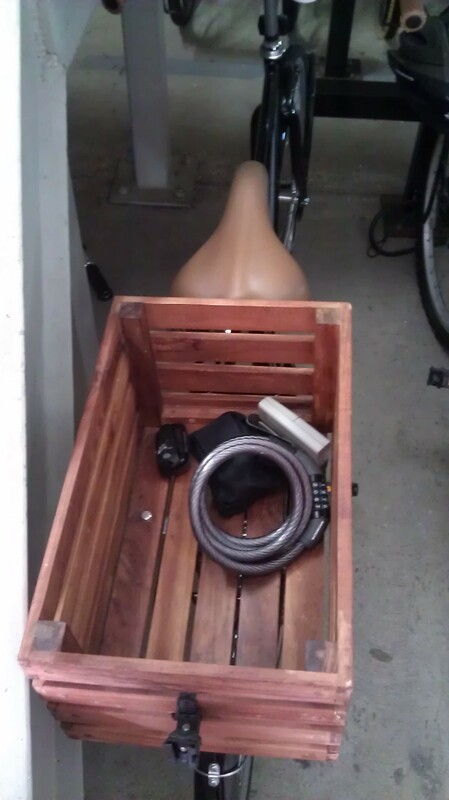 While wandering into work today, I passed by one of the bike stands and noticed a bike with the bike lock UNUSED, in the basket on the back of the bike (see picture below). 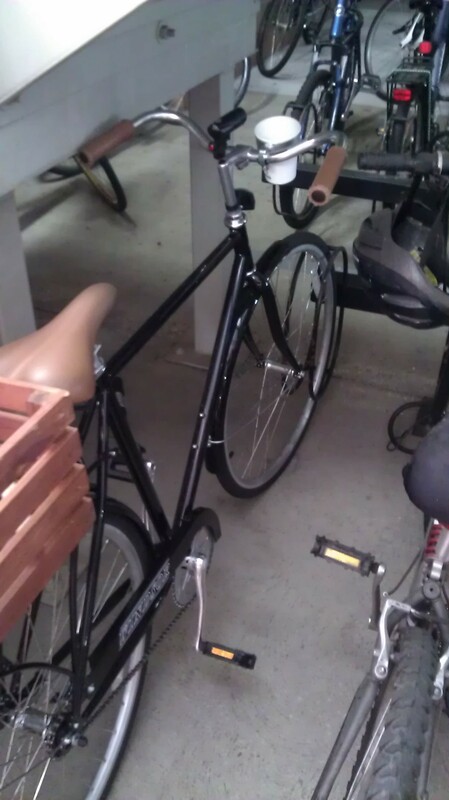 I realize I never posted in the blog about how several bikes have been STOLEN at my work place (which is a gated, private movie lot, so that is even more concerning) AND how someone STOLE my tool kit out of my biking bag. Yeah, cuz that is where your lock should be. 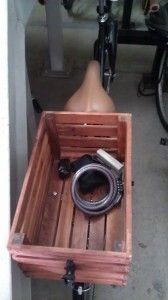 Therefore, when I saw the bike lock (and a random assortment of other things , like a garage door opener), I took a glance to see if the bike was locked by separate means. It’s not like I have the best history with bike locks myself, but I now keep my bike in my office, away from prying hands and eyes. Nice looking bike, too. Dig the cup holder. Now, should I be a good samaritan and post to the company mailing list about how the person should lock their bike and not leave stuff unattended, since there is a known history in the past few months of theft? ← Biking while … ?